However, in this day and age, even those three important traits aren’t enough. You could be the best at each and still fall short of your potential simply because you’re not using cutting-edge commercial real estate tools. There is no shortage of CRE tools on the market. 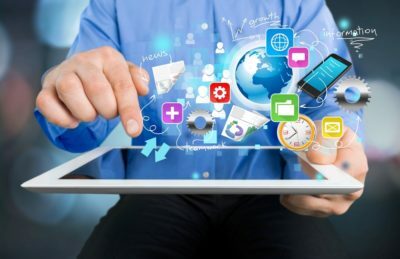 Depending on your unique needs and the industry you serve, one platform may make more sense than that of a competitor. Nonetheless, there are at least 10 types of CRE tools that you should be actively using in order to see greater success. It should come as no surprise that CRMs make our list of CRE tools for brokers. After all, commercial real estate involves a lot of moving parts. Losing track of just one of them will put your firm at a major disadvantage. In short, CRE-specific CRMs make it easy for brokers to bring their offices with them. Using a CRM will go a long way toward efficiency at your brokerage, but it’s imperative that you don’t forget about the importance of email integration. Obviously, you can’t afford to be far from your email inbox, but the vast majority of people already have this problem covered: they use a smartphone. For commercial real estate brokers, it is necessary to integrate their inboxes into their CRMs. This will save you from the time-consuming practice of having to jump from your CRM to your inbox and back again over and over throughout the day. Best of all, your CRM will load details about each contact, which is especially helpful when you’re on the move and don’t have time to dig through your messages before responding. You’ll never have to worry about holding up an important exchange because you don’t have the information you need about the sender. A geographic information system (GIS) captures, stores, manipulates, analyzes, and manages spatial and geographic data. It also makes it very easy to then present this important information. Brokers love using geographic information systems because they allow them to search for and manage vital data that can help their clients make the right decisions. Commercial real estate is awash with documents, from contracts to reports to specifications, and more. Unfortunately, generating these documents – or being without them – can greatly delay your progress on a deal. If nothing else, it’s simply a huge waste of time to ever stop a meeting because you don’t have the forms required. Document-generation tools for the commercial real estate market ensure these situations never have to occur. This is also another one of those CRE tools that you can integrate with a solid CRM, which makes it even easier to manage the documents associated with each deal in your pipeline. Social media marketing for commercial real estate has proven to be an efficient method of getting the word out about new properties, advertising your brokerage, and building your standing as an influencer. That said, there are also social networks designed specifically for commercial real estate agents. They bring agents, buyers, and investors together, simplifying what can otherwise be a frustrating process of making introductions and discussing deals. 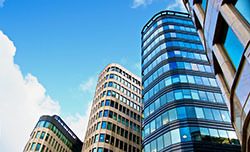 RealConnex is a popular example of these commercial real estate tools. It has proven so successful since it debuted in 2014, that it even won Commercial Product of the Year this past February at the Miami Association of Realtors, the country’s largest local realtor organization. No list of CRE tools for brokers would be complete without mentioning at least one that’s required to help with essential office functions like payroll. In the world of commercial real estate, payroll works a little differently. Most salaries are comprised largely of commissions. Checks can range in sizes from one to the next and aren’t always paid out every two weeks like at a traditional firm. That’s why many brokerages have turned to products like CommissionTrac, which makes it easy to manage each agent’s commissions and even automate the majority of their firm’s accounting needs. By taking care of what can otherwise be a tedious, time-consuming process, your team can focus on more important tasks. In commercial real estate, a lease comparable – “comp” – is one of the most important documents. It is among the best indicators of what tenants will currently pay to lease a certain space. While they are absolutely critical to the industry, they’ve always been exchanged through fairly rudimentary means. They have traditionally been traded among landlords, lenders, brokers, and appraisers, but there was no central repository to keep them. Thanks to CRE tools like CompStak, those days may finally be coming to an end. Not only does this platform provide a free resource for comp data, but the information is analyst-reviewed. Analytics are included, as well, so it’s easier than ever to do everything from prepare accurate valuations to create client presentations to negotiate deals and much more. If you’re still relying on sites like ZoomInfo to do your building research, you’ll love this next platform. Reonomy is very similar, but it’s focused solely on commercial real estate. The platform provides the all-important contact information for building owners by reviewing tax records and other data sources. Furthermore, it even provides insights into buildings’ leasing activities and how likely they are to sell. These CRE tools will save you a lot of time in terms of both research and reviewing the data to determine the potential of a deal. You can’t have enough commercial real estate tools that tell you everything you need to know about a building, but it’s also nice to have one spot to go to for finding which are already available in your area. 42Floors is probably the best example of this type of database. You can search by the size of the space you want, what it can be used for, and even specific markets within your city, so the moment your client tells you their specific needs, you can start searching. Finally, one of the most helpful CRE tools for brokers is the kind that provides leasing and asset management data. Platforms like VTS have become extremely popular because they’re actually able to do this in real-time. This way, brokers can run their leasing processes from anywhere they want at any time. As a result of using this type of CRE tool, commercial real estate agents benefit from increased visibility and improved productivity. It’s not that talent and hard work don’t matter in commercial real estate. However, all things being equal, when it comes down to you and a rival, it will be the one with the superior CRE tools for brokers that is able to make more deals, enjoy greater profits, and save time on doing both. Pick platforms from each of the 10 categories mentioned above and then get to work becoming proficient in their use. They are full of potential, so don’t be surprised when fully leveraging these CRE tools increases your potential, too.